Investment properties have the potential to deliver a regular source of income together with healthy gains in capital growth. When browsing through the “for sale” listings and taking time to inspect different apartments, it can be challenging to identify which units will make the best investment. 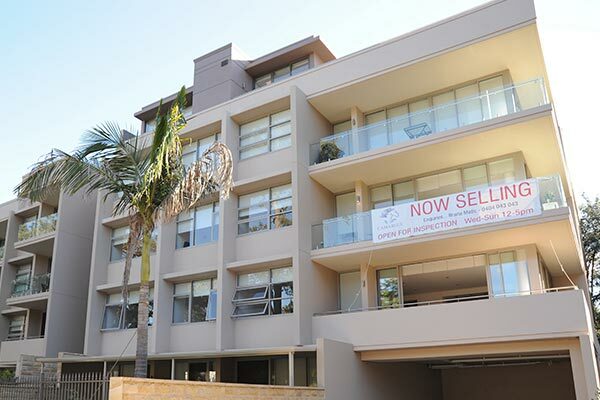 Here are our top five considerations when deciding which apartments make the best investments. An investment is only meaningful if you can make a return on the outlay; and the only way to deliver a return is by having the apartment fully tenanted all the time. It’s best to look at the amenities around the building – if it’s near a business district, university or hospital, then you’ll most likely already have a waiting list of tenants who would be happy walking to work or study. As a general rule, smaller bespoke buildings that are well maintained have the potential to be more appealing to tenants and can deliver more capital growth than large, impersonal complexes. Smaller buildings also have less owners, so you’ll have a greater say in strata meetings. Larger blocks might have more amenities such as a gym and pool, but these features only add to the strata fees. It’s best to be guided by what your bank advises when seeking a pre-approval on a loan for an off-the-plan apartment or a unit in a newly constructed building. If your bank has hesitation around lending on an apartment in a new building, then potentially there’s an over-supply of apartments in that area and they’re limiting their exposure. This is also a good indication that it may be difficult to find a tenant. It’s also a good idea to find out what other construction is planned for the area. You may purchase a fantastic apartment in a small complex, only to discover that a massive new building is about to begin construction next door. Newer buildings also generally tend to have higher strata fees because they come with lifts, gyms and pools. It’s always best to buy a strata-titled apartment that’s part of a scheme that has a pro-active Strata Committee and a healthy strata bank balance. A well run scheme contributes to the value of your property and a healthy bank balance limits the necessity for special levies in unexpected circumstances. Always do your due diligence and ask the agent for copies of the minutes from previous annual general meetings. While apartments with parking spaces and additional bedrooms will cost more, they offer money that’s well spent. Not only will two or three bedroom apartments be more attractive to tenants but they also have the propensity to increase in value at a higher rate than for example a studio apartment.